Food Pairing: Strong or blue cheeses, dark meats. Originally grown in Anhui Province, China, our special Lucky Dragon Hyson, (Young Hyson), comes from a prestigious high elevated tea growing area nestled in Central Sri Lanka, an island famous for producing some of the best and most pollutant- free teas in the World. Lucky Dragon boasts a long and illustrious history. 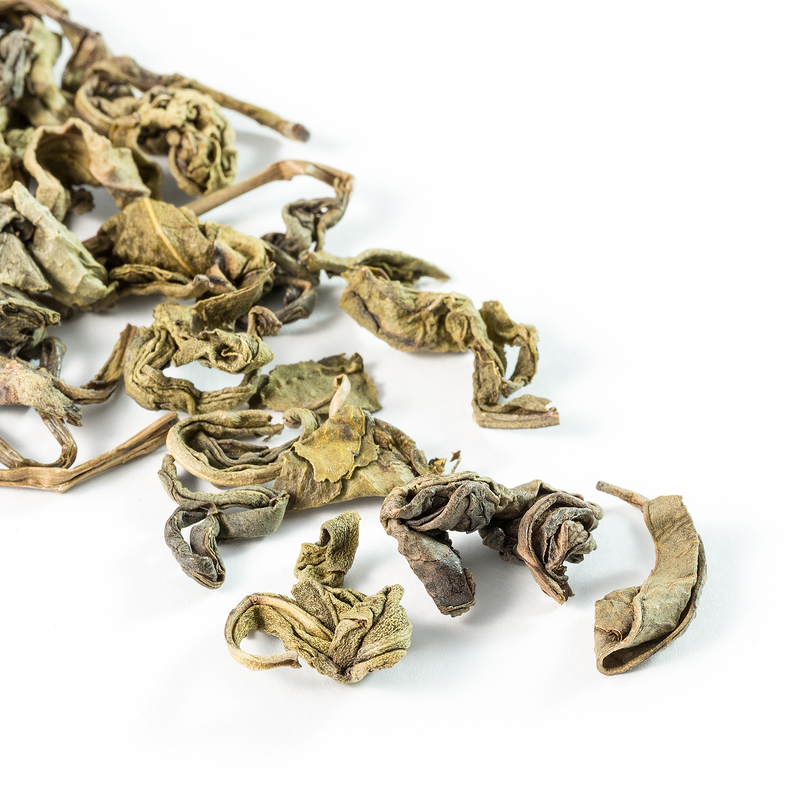 This classic green tea has been enjoyed both in Britain and the Americas for over 300 years and was one of the teas thrown overboard during the notorious Boston Tea Party of 1773, the precursor to American Independence. Lucky Dragon tea was so highly regarded during Eighteenth century Britain it even levied a higher rate of tax than other types of teas! The name hyson could either refer to Philip Hyson a young English merchant or reference the Cantonese name for “ flourishing spring tea”. “Young” is the best grade of hyson where just the younger leaves and bud are plucked in spring,( as the Cantonese name suggests), before the rainy season. “ A classic green tea waiting to be rediscovered! reveal a huge, complete tea leaf of a rich, greeny brown colour giving a rare glimpse of how the leaf must look before plucking. The golden yellow brew is refreshing with a pleasant thirst quenching astringency, a subtle sweetness and full bodied earthy freshness. Try drinking with dark meats, strong or blue cheeses or with breakfast to revive, refresh and detox. 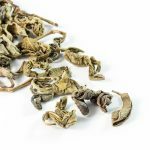 Full of health giving anti-oxidants, this forgotten green tea offers a great flavour alternative to many of the green teas drunk at present. Mixology : Add a rose bud to sweeten for afternoon drinking or a pinch of lemon verbena for extra zip in the morning. Dorothy, the owner of The Hazelmere has travelled far and wide to personally hand select the teas that we have on our shelves and on our online store. Her knowledge goes back 35 years and her experience is vast. You can guarantee that the teas we have are tried and tested and only the very, very best makes its way onto our Tea House menu.